Getting the dose right in edibles can be a tricky task when you don't know how, but there is an answer. Cannabis edibles can be a minefield. Many run into thinking it is the same as smoking, only to find out they are in for a shock. What makes things even trickier, is that cannabis edibles are notoriously hard to dose. Even those who enjoy edibles regularly tend to play a guessing game with the amount of cannabis they put in their food. There are some precise steps that can be taken though, helping edible fans (and first-timers) work out exactly how much weed they need. The first thing to understand, before even working out dosage, is that the high from eating cannabis is often perceived as a more powerful than smoking. This is because of a fundamental difference between the ways the body deals with smoked and ingested marijuana. 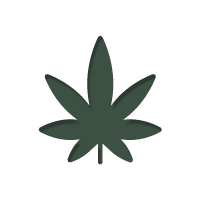 Basically, when ingested, THC is metabolised into a much more potent form by the liver. This makes a comparable dose much stronger than when it is smoked. You can find out more about what happens to cannabis when you eat it here. With that point talked about, it is time to actually decide on a THC dose. The following measurements are an anecdotal rule of thumb, as there is very little actual scientific research into edible dosing. Because of this, you should bear in mind that these doses will affect people differently. 2mg – This is seen as the threshold for INFREQUENT users. It is very unlikely to case any impairment. 2.5mg – This is seen as the dose popular for those looking to reduce social anxiety, increase focus, or encourage the munchies. It is often compared to be tipsy on alcohol. 5mg – Nearly all OCCASIONAL users report a significant effect. This includes a comfortable high and appetite stimulation. 10mg – Most OCCASIONAL users report a strong effect. This causes a potent high, strong psychoactivity, and significant distraction from things like pain. Most REGULAR users tend to find 10mg a comfortable base level. 15mg – Most OCCASIONAL users report this as being uncomfortably strong. REGULAR often report 15mg to be a standard, strong dose. 20mg – Most REGULAR users find 20mg to induce a very potent high, with strong psychoactivity, appetite stimulation, and distraction from things like pain. 25+mg – This is often seen as an uncomfortable dose for REGULAR users. However, the more cannabis is used, the more the body gets used to it. As such, daily users often have to up their dose frequently as they become desensitised. It is not unknown for chronic users to hit 200-300mg+! Note: this is all from anecdotal reports, and does not factor in things like CBD content variation. Knowing the right dose for you is all well and good, but you still have to translate it into a practical means for working out how to infuse your edibles as you cook. To do this, you first need to know the THC percentage of the marijuana you have. If you have grown your own or know the strain you have, you can normally find this out from the strain’s description online. Every gram of cannabis bud has 1'000mg of dry weight. So if you have a 20% THC strain, this would equal 200mg of THC. This means with one gram of 20% THC bud, you could create 10x 20mg doses. If you have one gram of 10% THC strain, then you could create 10x 10mg doses, or 5x 20mg, and so on. With this information, you can figure out how strong you want each portion of your edibles to be, as well as how to divide your cannabis up to create this strength. Of course, this guide is rough, and assumes that cannabis is evenly distributed throughout your cookie mix etc (or whatever you are making). It is best to use it as a baseline, using your own subsequent experience to develop and hone the dose you need.